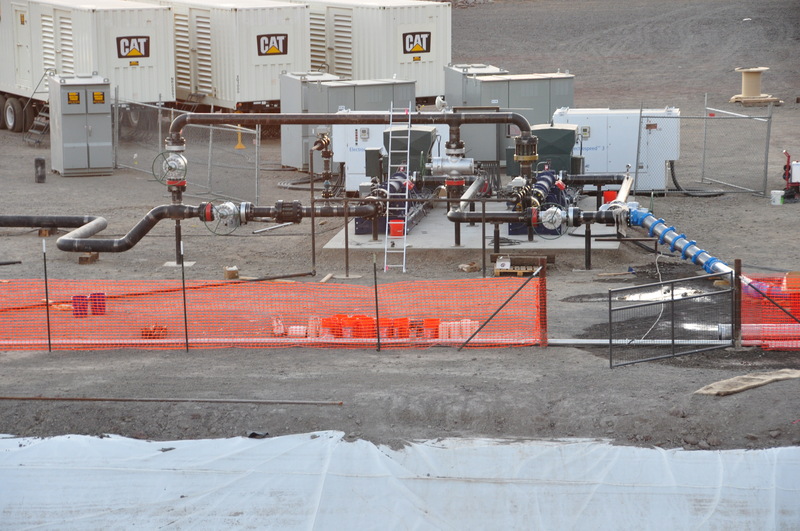 The company’s team has the knowledge, experience, proprietary tools and technology to design and operate successful geothermal stimulations that deliver the greatest possible efficiency and power output. AltaRock understands how to engineer permeability that boosts the output of under-performing wellfields and power plants. Stimulating geothermal wells involves the use of two proprietary technologies: Thermally-degradable Zonal Isolation Material (TZIM) and hydroshearing stimulation. AltaRock Services uses advanced stimulation techniques to improve well-field productivity and potential. Implementing unique high-pressure pumps capable of running for extended periods and AltaRock’s proprietary TZIM technology, production well permeability and flow can be significantly improved with low-risk, cost-effective actions. TZIM is a zonal isolation material that temporarily blocks fractures after each zone is stimulated without the use of a packer or other mechanical device set with a drill rig. Multiple zones of interconnected fractures can be created using TZIM, improving the surface area to volume ratio and access to the reservoir, all without the need for proppants. There is no need for gel breakers or acid to remove the TZIM, as it breaks down naturally; fractures remain clear and open for production or injection in multiple zones. AltaRock’s hydroshearing stimulation pumps operate over a wide range of flow rates (0-3,000 gpm) and pressures (0-2,800 psi), enabling well stimulation in a multitude of reservoir conditions. Positive displacement pumps generally used in oilfield fracturing require frequent maintenance, resulting in lost time. Moreover, back-up pump trucks, spare parts and mechanics are required to operate 24/7 during well stimulation. AltaRock’s stimulation pumps are engineered for long-term operation without the need for shutdown and maintenance. Pressure and flow rate are adaptable and easily controlled using AltaRock’s custom software. The multi-stage centrifugal design is more fit-for-purpose than commercially available positive displacement pumps used in conventional well stimulations. AltaRock Services provides a suite of services for designing, monitoring and assessing hydroshearing stimulation projects. For large-scale stimulations using TZIM diverter technology, AltaRock created AltaStim, customized software to estimate water usage, pumping pressures and flow rates required to optimize the stimulation design. AltaRock Services designs, implements and manages well field improvement projects. 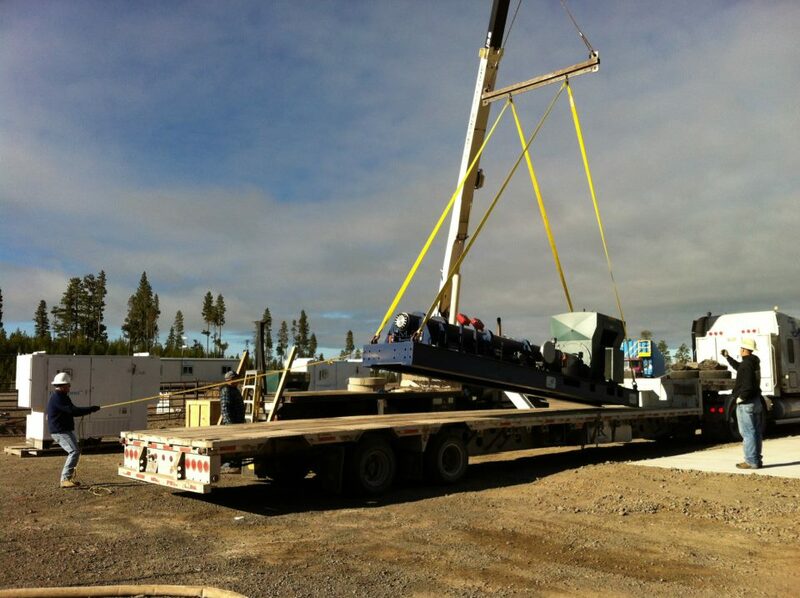 We provide full-service stimulation, assessment and management services for new and existing projects. For geothermal stimulations, AltaStim is better suited to the job than conventional software for oil and gas fracturing, designed not to assume a single tensile crack forms at the wellbore and any additional fracturing away from the wellbore is labeled “leak-off”. In addition to designing hydroshear-based stimulation programs, AltaStim has the ability to predict the microseismic pattern that will result from the stimulation. Distributed Temperature Sensing (DTS) fiber optic monitoring allows real-time temperature monitoring along the entire length of the wellbore, providing feedback during stimulation indicative of TZIM influence, fracture opening and flow zones. Microseismic monitoring- the hydroshearing process creates movement and releases pressure in the reservoir, resulting in microseismicity. Microseismic events can be detected using a network of borehole and surface seismometers, and utilized to map fracture development. 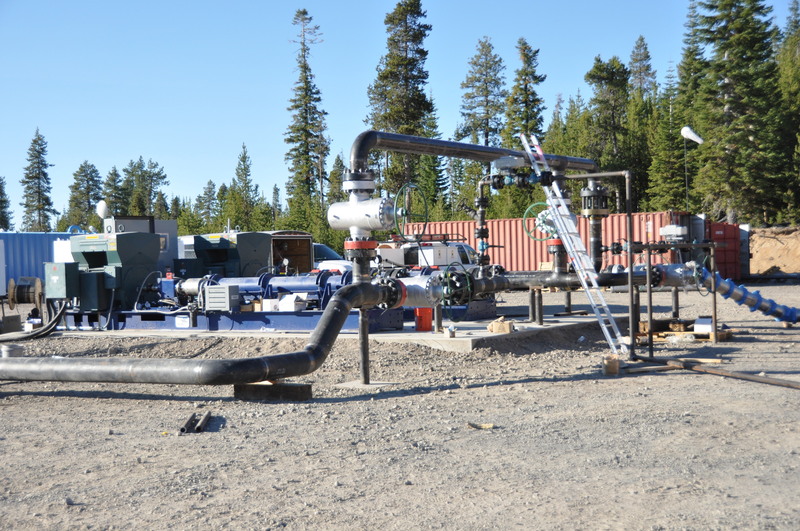 AltaRock utilizes high-pressure multi-stage pumps engineered specifically for stimulation to induce hydroshearing and increase permeability in both traditional hydrothermal and EGS wells. Surface and down-hole monitoring equipment is used to assess zonal isolation, opening of new fracture zones, and any potential problem areas in the wellbore during stimulation. Unique tracer technology is used to evaluate the volume of rock fractured and the surface area exposed for heat exchange on a zone-by-zone basis. Thermally stable chemical tracers are injected at each stage of the stimulation and then recovered during well flow back. Reactive and non-reactive tracer returns are used to determine the available surface area in each stimulated or preexisting zone. AltaRock is working with the University of Utah to develop high temperature quantum dot fluorescent reactive and non-reactive tracers. This will extend the number of tracers possible for a much larger number of stages and allow the evaluation of multistage fracturing for geothermal, oil and gas stimulation projects. A high temperature borehole fluorimeter is currently in development and will soon be ready for testing with fluorescent tracers. This will allow measurement of flow from each zone stimulated and calculation of the benefit of the stimulation in real time during logging.